April 08, 2019 - To start off the weather was a perfect 60+ degrees with filtered sunshine. You couldn't have ordered a better day! The race starts uphill, the course is uphill, and the finish is uphill, and the 25K(15.5 miles) course is really 17.9 miles(28.8K). No wonder you can't PR this thing unless it's your first race! 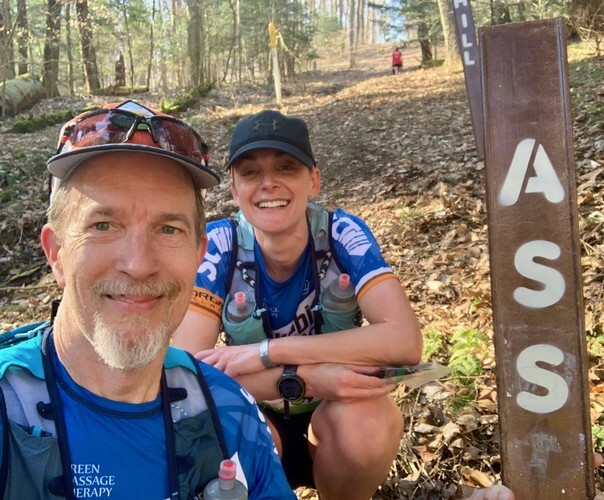 Never the less, it was a fun day racing with my teammate Kelly Baker, as we had a great tour of the Mohican State Park. I will be back next year.